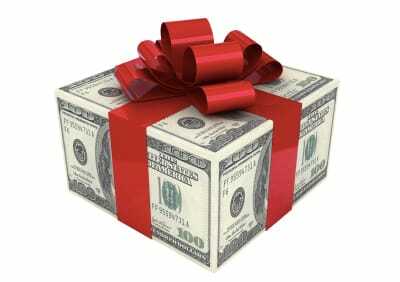 Looking for cash to make the down payment on your next investment property? Coming up with a bunch of cash can time time and careful planning. Here are a few tips that might help you to purchase sooner rather than later. 1) Discuss your finances and goals with your financial planner. Do you have assets that you can borrow against to make a down payment that leads to great income potential? 2) Look at your monthly spending? What is your “latte factor” that adds up over time? Are there items you can cut from your budget that won’t impact your current quality of life, but can significantly impact your future with smart investing in real estate? 3) Take a look at your primary residence. Do you have a good amount of equity in your home? Discuss your plan with your financial advisor then contact us to see what current rates are and how much you might be able to cash out with a cash out refinance. Alternatively, you could look into a home equity loan in order to borrower as much as 90% Combined Loan to Value on your home. The loan is tied to your primary residence which means the interest you pay may help you out at tax time. 4) Do you have a trusted friend who might be willing to be your business partner? A carefully crafted partnership might be the difference between waiting 5 years to purchase, or purchasing now. Just be sure to chat with an attorney and make sure responsibilities and roles are clearly defined. If there is a will there is a way. You can make this happen for yourself and we can help! 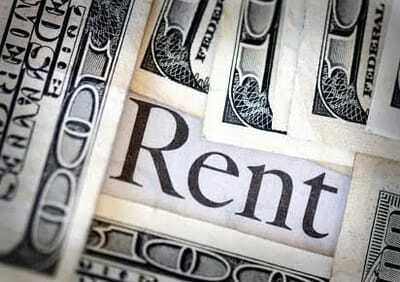 Do you want to have rental income? Do you see the benefit of collecting rental income or owning investment properties. Financing is a bit stringent for straight-up investment properties, but if you plan to live in the property there are some great options available to you! This type of property can be financed the same as a Single Family Home with programs such as VHFA or Conventional Financing. No additional bump in interest rate or in closing costs! Typically you must live in the house in order to be able to rent out the additional unit as zoning laws can be quite strict. At our house in Essex Junction, our rental income covers half of our mortgage payment! What a great way to free up additional money in our budget for investing and saving while having almost the same about of privacy as a single family home. Two Unit Purchase with VHFA: If you are a 1st time home buyer (have not had an ownership interest in a property) in the following counties: Addison, Bennington, Chittenden, Grand Isle or Windsor (this requirement is waived in the rest of the state), you may qualify for 5% down payment on an owner occupied 2 unit home. This program allows for reduced monthly private mortgage insurance and slightly reduced closing costs. There are income limits on this program. Contact us today and we can confirm your eligibility. 2-4 Unit Purchase with FHA: Looking to purchase a multi-unit to live in that is 2-4 units or don’t qualify for VHFA? FHA could be a good option for you. FHA allows purchases of 2-4 unit properties with as little as 3.5% down payment. A great option to get into a multi-family home with little money out of pocket. The downside of this program is that you pay an upfront fee as well as a monthly fee. The monthly costs (including the MI) tend to be a bit higher, but if you are able to get into a multifamily, you’ll have rental income to help pay for the additional cost. Traditional financing programs (allows financing of property with up to 4 residential units) require 25% down payment on a non-owner occupied multifamily investment. You can finance multifamily homes with a conventional loan which grants you the benefit of a long term fixed rate, but there is limit to the number of properties you can have financed with conventional loans. An experience realtor can help you search for the perfect property to meet your rental income goals! We’d be happy to connect you to an experienced Realtor!